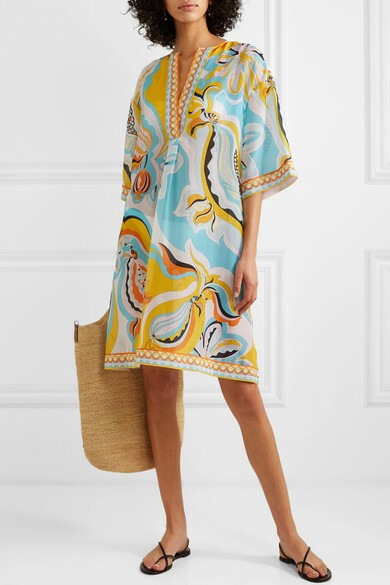 The saturated color palette and breezy silhouette of Emilio Pucci's kaftan fits right in on sun-drenched vacations. 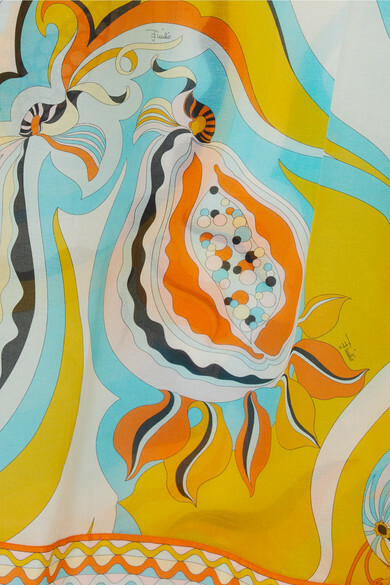 Made in Italy from lightweight cotton and silk-blend voile, it drapes effortlessly and has a semi-sheer finish that works for layering over a bikini. Wear it with a straw bag and sandals. Shown here with: Eres Bikini Bottom, Eres Bikini top, Loewe Tote, Gianvito Rossi Sandals, Monica Vinader Bracelet, Paola Vilas Earrings, Aurélie Bidermann Cuff.